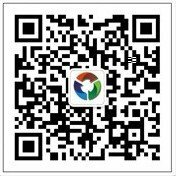 Chengdu Au pair-申请成为中国互惠生家庭-Au pair - 外国互惠生来华-我的互惠网-互惠生(Au pair)论坛-我们家在成都的高新区，我们的社区非常美丽。我家里有四个房间，还有一个漂亮的花园。我和我先生性格温和，有两个可爱的宝宝，一个五岁，一个三岁。我和我先生都参加过汉办 ... - Powered by Discuz! Our family is in Chengdu High-tech Zone, our community is very beautiful. There are four rooms in my house and a beautiful garden. My husband and I have a gentle personality. We have two lovely babies, one is five years old and the other is three years old. Both my husband and I have participated in the professional training of international Chinese teachers run by the Chinese Language Office. Our two children have the need for foreign language learning. We hope to exchange the foreign language learning of children by teaching you Chinese. Free accommodation, separate bedroom and pocket money are available. If you are an optimistic, clean and child-loving girl, you are welcome to our home. If you are interested in further communication, please call 17780658066 or mail 3619885@qq.com. GMT+8, 2019-4-26 18:30 , Processed in 0.237251 second(s), 35 queries , Gzip On, MemCache On.